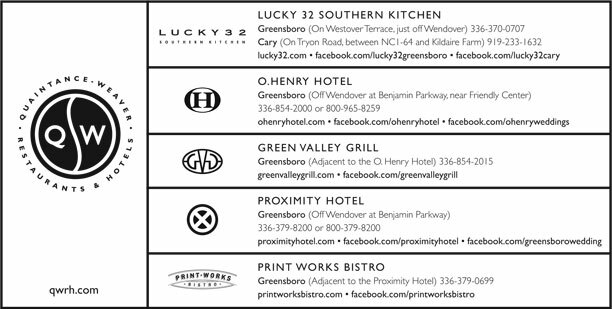 We’re also revitalizing the menus at all three of our Lucky 32 restaurants. We’ve listened to feedback and made some improvements with our steaks, chicken, and pork. Our steaks are cut in-house from Certified Angus Beef, and we’ve experimented with a zillion recipes for roast chicken then settled on the same variation of Julia Child’s basic recipe that we use at home. We hope you enjoy the changes we’re making! Our December O.Henry Literary Round Table, featuring best-selling author, Robert Morgan, was a real success. The proceeds were donated to two non-profit organizations that promote literacy, the O. Henry Festival and the Piedmont Children’s Book Festival. Robert Morgan read from his new book of poetry, Topsoil Road, and his best-selling novel, Gap Creek, then spent some time talking with his audience. Sara Sherman: You already had a reputation as a poet when you began writing fiction. How did you come to fiction writing? Robert Morgan: In 1967 I came to UNCG to work on my MFA. UNCG is a really good place for writers; there’s a lot of support from the department and from professors like Fred Chappell, who understand how much time and dedication it takes to write. And I had plenty of time to write while I was there because I had a job in the men’s locker room checking out towels. There weren’t very many men at UNCG in those days so I wrote my first book of poetry in that locker room, and it did pretty well. In 1971 I got a job at Cornell University teaching poetry, then in the 80s I started writing fiction. I wanted to tell the stories I had heard from my family while growing up. SS: How closely do your books follow the stories of your family? RM: For the most part, the actual events are fictional, but the characters’ personalities are based on members of my own family, and their lives and the type of hardships they faced are real. Gap Creek is written form the perspective of Julie who is based on my maternal grandmother. The opening scene in Gap Creek, when Julie’s brother dies, really happened. In fact, I’ve met some of the descendants of the doctor who treated the boy, and the same story, about a boy who was brought down from the mountain, is told in their family. The doctor grandfather couldn’t figure out what was wrong so the boy died this terrible death. RM: Yes, the first time I used the voice of a woman, I was writing The Hinterlands. I was researching the life of my Uncle Robert and I realized that it would be more natural for his fiancé to tell this story. Women tend to be closer observers of details and more open to emotion, so the story seemed more plausible in a woman’s voice than a man’s. This approach worked well, so I’ve continued with it in other work. SS: Which authors have influenced you the most? RM: If you had asked me that a few years ago I would have named people like Thomas Wolfe or William Faulkner – writers who are known for their sweeping Southern stories. And I do admire them, but now, as I look back over my work, I see that Eudora Welty and Ernest Hemingway probably had more influence on my style. I like the transparent language and sparing dialect of Welty, and Hemingway is great with dialogue – he’s a master at getting his point across without over-explaining it. SS: Are you working on anything now? RM: Yes – a sequel to Truest Pleasures that overlaps some with Gap Creek. It’s set in the 20s during prohibition and the Jazz Age.